Hillary Clinton’s new book will focus on her defeat in the 2016 presidential election - specifically, how nefarious Russian hackers and former FBI Director James Comey cost her a victory in an election she was heavily favored to win. The Hill reports that a member of Clinton's inner circle said that the former secretary of state "really believes [that Russian interference and Comey are] why she lost, and she wants to explain why in no uncertain terms." "She wants the whole story out there from her own perspective. I think a lot of people are going to be really surprised by how much she reveals," said the anonymous source, adding that the book will be a "bombshell." The memoir's claim is simple, and echoes Clinton's message since her defeat: it wasn't her fault. The failed run was not the result of Clinton's message being weak and muddled, the numerous scandals and controversies that hounded her, the bitterness engendered in a public that saw her primary victory over Bernie Sanders as a robbery, her opponent's ability to energize voters who typically stay home with a message and oratory style that appealed to them, or her opponent's superior electoral strategy. "She believes she would have won and that Russia and Comey ultimately brought her down," said a Clinton adviser to The Hill. "She feels validated by all the news circulating out there about Russia." The only issue is that not even Clinton's fellow Democrats, who similarly despise Russia and Comey, believe that to be why she lost. Just this month, Senate Minority Leader Charles Schumer (D-NY) told the Washington Post that, "when you lose to somebody who has 40 percent popularity, you don't blame other things — Comey, Russia — you blame yourself. So what did we do wrong? People didn't know what we stood for, just that we were against Trump. And still believe that." Schumer revealed the Democratic Party's new strategy going forward on Monday. The central theme of the new platform, "A Better Deal," is that the party of the past — the party of Clinton — needs to be rebuilt and rebranded. It seems that Democratic leadership hasn't forgiven Clinton for her failure to defeat Trump, a candidate much of the country hardly took seriously until it was too late. Former Vice President Joe Biden, who left office with an impressive 61 percent approval rating, said in March that in 2016 the Democratic candidates "did not talk about what it always stood for — and that was how to maintain a burgeoning middle class … You didn't hear a single solitary sentence in the last campaign about that guy working on the assembly line making $60,000 a year and a wife making $32,000 as a hostess." Clinton intends to release the book in September. It will be her seventh book, and her second in two years. Her last book, "Stronger Together," released in 2016 to critical thrashing and poor sales. "By the time I finished this book, I resented its existence," wrote Washington Post book critic Carlos Lozada. "[It] is a self-confessed cut-and-paste job of campaign fact sheets, speeches and op-eds. That sets rather modest expectations. 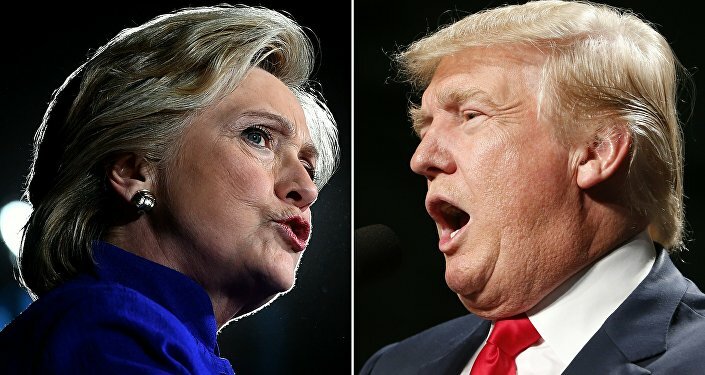 Yet, even by that standard, and the low bar for candidates' campaign books overall, 'Stronger Together' is an embarrassment, sloppy, repetitive, dutiful and boring."